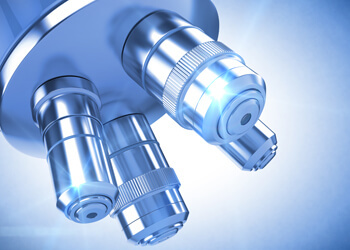 Precision, resistance to aggressive media and superior quality are critically important in work with laboratory and analytic instruments, especially in medical applications. If you need a custom solution, we recommend LTG fans, such as those with a tangential air flow, which deliver superior performance even in limited geometries. 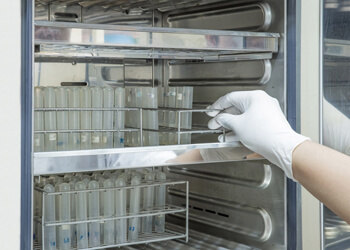 In biomedicine, biochemistry and pharmaceutical research, there are many analyses and tests that require special laboratory equipment, often with custom-designed features. The main performance criteria are efficiency and reproducible results under constant climatic conditions. Laboratory and analytic instruments require an optimum distribution of air in all dimensions of the process space. This can already be ensured in the development phase by selecting the right kind of fan and a favourable flow principle. LTG’s engineering services can help you with air flow design, simulation and testing of prototypes. LTG fans are available in all the types that you need for optimum air flow in your laboratory or analytic equipment: axial, centrifugal and tangential. LTG tangential fans have significant advantages in installation and operation, even when high temperatures, high humidity or aggressive media are involved. You can be sure of getting high-quality and reproducible results for your customers. The drive components are outside the process space, guaranteeing a long service life for the fan.